Hewlett-Packard (s hpq) continues to be rocked (disproportionately, according to one analyst) by a flood-induced hard drive shortage; its go-to printing business is sputtering; and the company as a whole continues to spend too much on too many products. On the plus side, HP’s high-stakes bets on 3Par “cloud” storage and enterprise software player Autonomy are starting to be felt, just not enough to overcome all the bad stuff. HP was once the model of a well run if conservative IT behemoth. For the past three years, it has been anything but. That is why all eyes are on HP now. Industry watchers want to know if Meg Whitman, now eight months on the job, can right the ship. 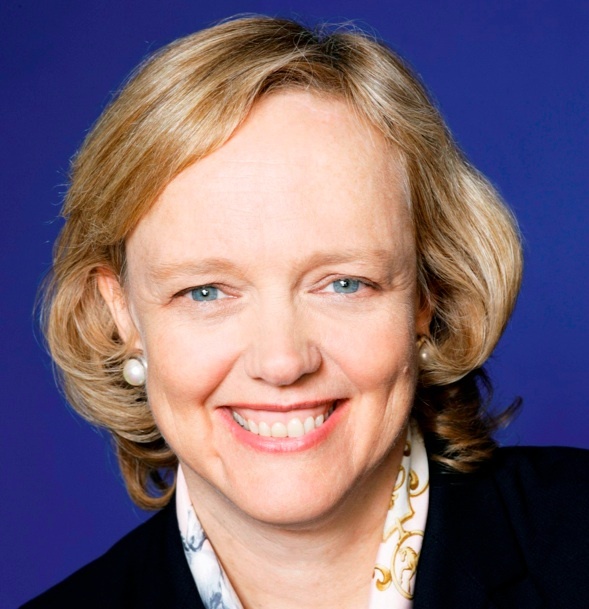 Whitman is HP’s third CEO in as many years. Here are my top takeaways from Wednesday night’s first-quarter earnings call. 1. Shocker: Apotheker may have been right! Leo Apotheker, Whitman’s much-maligned predecessor at HP, looks pretty smart in retrospect, as Mark Hachman points out over at PC Mag. HP’s venerable PC group spit the bit last quarter (which ended Jan. 31), with overall revenue off 15 percent year-over-year. Revenue from consumer PCs fell 25 percent. The company sold 18 percent fewer units than the comparable period last year. Ouch. Apotheker looked into selling that PC unit, news of which sparked a firestorm among HP partners and enterprise customers who liked buying servers and desktops from one company. Whitman backed off that plan when she took over. The argument for keeping the PC group was that the $40-billion-per-year business gave HP supply chain advantages when it came to sourcing components not only for PCs but also for servers and storage. That may have been the case, but it didn’t appear to help the past two quarters when HP was hit — hard — by the lack of hard drives caused by flooding in Thailand. Sanford Bernstein analyst Toni Sacconaghi pointed out that HP seemed to be affected disproportionately by this disaster when compared to its rivals. Things on the software side looked rosier. Overall software sales were up 30 percent year over year. Getting HP more into the software game was a big piece of Apotheker’s strategy. Going forward, Whitman said that for HP to succeed, it must “own” three areas: cloud, security and information management. Those three areas align pretty closely to Apotheker’s road map. HP’s Imaging and Printing Group (IPG) has long been its go-to business — Whitman called IPG the “lifeblood” of HP. But things are not going well there. Total revenue fell 7 percent compared to the year-ago quarter. Revenue from commercial printing hardware was off 5 percent, and consumer printer hardware sales were off 15 percent (and IPG sold 15 percent fewer units) from the same period last year. Recently, Whitman vowed to “double down” on R&D spending to get the company back to competitive form. That’s not chump change. Last year, HP spent $3.2 billion on R&D (about 2.5 percent of annual revenue). If “double down” means doubling, that will be a big number at a time when HP very much needs to slice rather than add costs. “Our current cost base is not sustainable. For years we’ve run the business in silos and there’s much we can do to streamline operations even more by standardizing our processes to scale the business without increasing cost,” she said. That really is one thing HP could do easily. There is no reason for any company to field the number of PC and laptop models HP offers. Apple (s aapl) offers a very limited number of Mac models, and no one seems to hold that against it. But SKU control is just the start. As Sacconaghi pointed out on the call, the HP numbers paint a bleak picture across the board. “This data appears to point to a widespread lack of competitiveness,” he said. Addressing that sort of problem will take more than cutting SKUs. Was Apotheker right, or did he create a self-fulfilling prophecy? Surely the uncertainty he created around PSG hurt sales. Whether or not selling/spinning the PC was right, he was wrong to talk about it before he had a deal done. @pf i believe the word of a possible sale “leaked” and apotheker then confirmed that a sale was an option — refreshingly candid but yes caused a firestorm. > Going forward, Whitman said for HP to succeed, it must â€œownâ€ three areas: cloud, security and information management. Those three areas align pretty closely to Apothekerâ€™s roadmap. Q: So why is she CEO ? don’t worry steve, i wasn’t taking it seriously…i think that whole “we got our swagger back” stuff was really interesting — and invited people to scrutinize said swagger! @steve I think i linked to one of those stories! i do admit that some of the HP partners are really jazzed again — so there’s that…. Hi Barb – I was being facetious. Nonetheless good factual post !